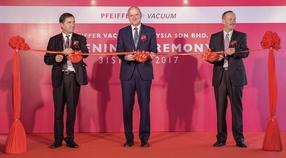 Pfeiffer Vacuum has opened a new service center in Malaysia. The more than 6,000 square foot building will house administration, sales, and service departments. The main activities will be the repair of the dry backing pump range. Other products will follow in the coming months. The service center is located within Kulim Hi-Tech Park (KHTP) at Kulim, Kedah state, in northern Malaysia. KHTP was completed in 1996, as the first high-tech industrial park in Malaysia. It occupies a total area of 4,510 acres and is only 40 minutes away from the Penang International Airport. KHTP houses one of the largest networks of multinational semiconductor and coating companies in Malaysia. Several of Pfeiffer Vacuum’s major customers are within a 15 minute drive from the new service center. “This is a huge milestone in our history. Our business in Malaysia and Singapore is very important for our growth. Asia is the fastest growing area in our company. Nearly 40% of our business is related to Asia. 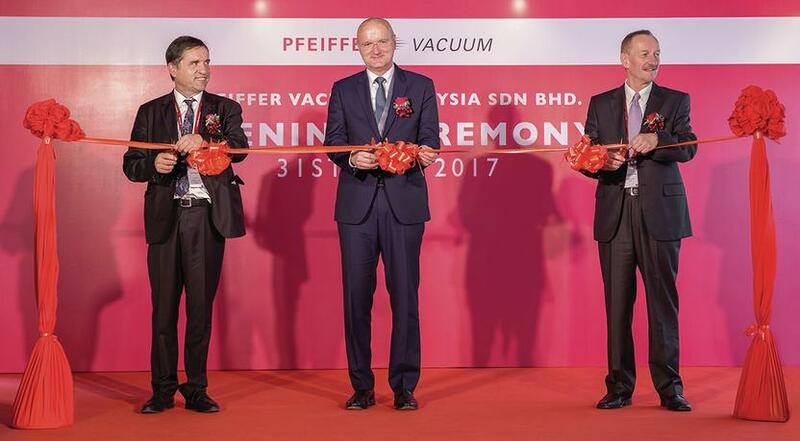 So we are quite happy to be close to Malaysia today”, said Dr. Matthias Wiemer, Management Board Member at Pfeiffer Vacuum Technology AG. “Furthermore, this service center is in complete compliance with our policy of sustainability. We want to take care of the safety of our employees and the safety of our environment”, added Eric Taberlet, President of the Business Unit Semiconductor & Coating.